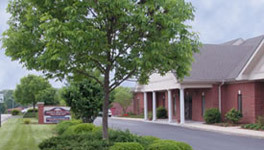 Dr. Arlene Baluyut is a Frankfort, KY dentist utilizing the most up-to-date dental technology to improve patient comfort and provide you the smile of your dreams. Below you will find information on various pieces of advanced technology and equipment found at Designing Smiles, if you have further questions please feel free to contact us today! The intra-oral camera broadcasts images for both the patient and doctor to see. Instantaneously the images of your xrays are sent to a computer screen so that both the patient and doctor can review your oral health together. This wonderful new technology allows you to relax in your chair while simultaneously observing a real-time movie of the inside of your mouth magnified beyond normal size on an adjacent computer monitor. Not only does this make it simple to see and understand what is happening in your mouth, but it makes it simple for us to keep incredibly accurate records from one visit to the next.